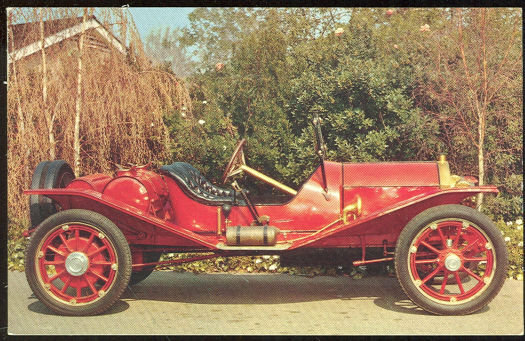 Postcard of 1911 Marmon Speedster Model 32. 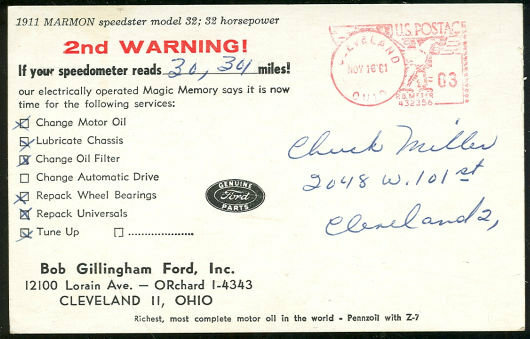 Advertising Postcard for Bob Gilingham Ford, Cleveland, Ohio. Back of postcard is postmarked 1961. Postcard is in very good condition, slight wear at edges.